This year the London Mozart Players and their former Artistic Director, Jane Glover, celebrate their 70th birthdays. 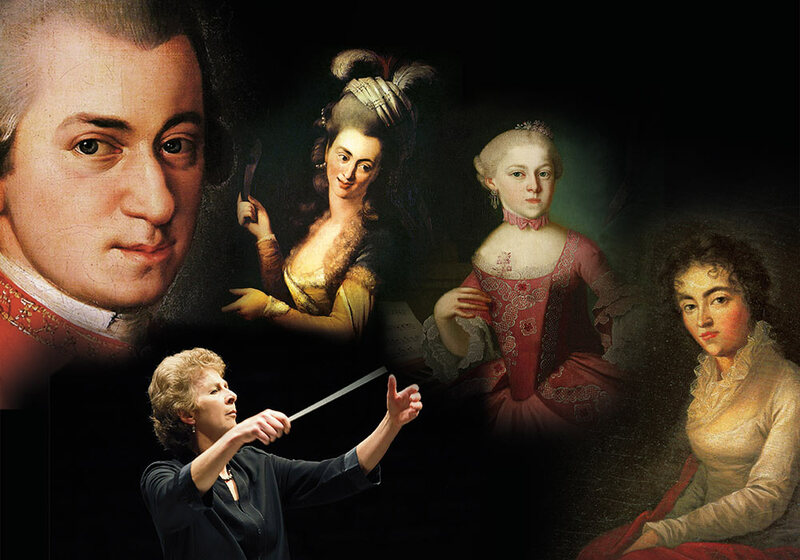 To mark these milestones, they are reuniting for a concert at London’s fabulous St John’s Smith Square concert hall on Thursday 11 April at 7.30pm, with a very special programme that celebrates the women who touched Mozart’s life and inspired him to compose some of his greatest works. ‘Mozart’s Women’ included piano virtuoso Victoire Jenamy, who would have performed his Piano Concerto No. 9 in E flat K.271; his first love, soprano Aloysia Weber – inspiration for the ravishing aria ‘Vorrei spiegarvi, oh Dio’ (which reaches top E); Aloysia’s sister Constanze – later Mozart’s wife, for whom he composed the soprano part of his Mass in C Minor; and English soprano Nancy Storace, the muse behind the aria ‘Ch’io mi scordi di te?’ (which includes a solo piano). Not forgetting the composer’s sister Maria Anna – ‘Nannerl’, and his mother, Maria, who accompanied Mozart through Europe in 1778, dying shortly after the performance of his ‘Paris’ Symphony No. 31, K.297. A line-up of top musicians, all Mozart experts, will take to the stage. Alongside the London Mozart Players under the baton of conductor Jane Glover, coloratura Soprano Jennifer France, Winner of the 2018 Critics’ Circle Emerging Talent (Voice) Award, will hold audiences spellbound with a couple of Mozart’s most beautiful arias, while hugely acclaimed 17-year-old pianist and current BBC Young Musician Lauren Zhang will breathe fresh life into Mozart’s Piano Concerto No. 9 in E flat. This will be a glorious evening of music that no Mozart aficionado should miss.